100% Forklift-Tough® Industrial Grade - Always Digitally Printed In the USA. 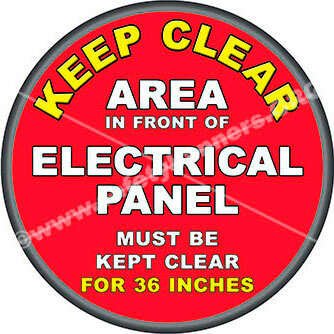 Our Forklift-Tough® Safety Floor Sticker Signs are ALWAYS Forklift-Tough® and Anti-Slip. PLUS, we now offer Street-Tough® Pavement Power Stickers for your parking lot, street and other asphalt and concrete areas. Put your floor space to good use! Mark hazardous areas and direct traffic with Forklift-Tough® floor safety stickers. Injuries and fatalities can easily be avoided if only workers would be aware of the hazards. You can alert your employees of hazards by clearly marking them with floor safety stickers, which are easily seen and interpreted, making them an ideal way to convey safety messages and potential hazards. 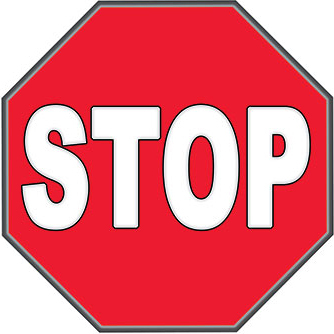 Floor safety stickers are perfect for directing traffic in different areas in your facility and hazard alert. Warehouses and facilities have zones and areas that need direction or warning or simply need to be marked for people or vehicles that are going about routine business in a large area. 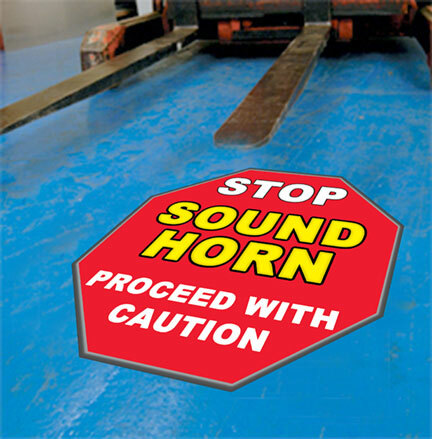 Our Forklift-Tough® Safety Floor Stickers give employees proper direction and remind them of hazards in the area. 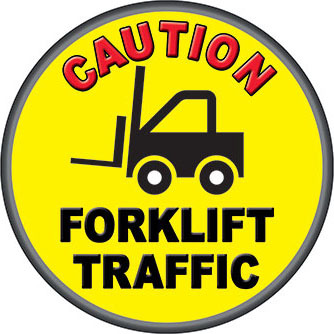 The many hazards vary from forklift traffic, hard hat areas, or a simple caution message. SafetyBanners.Org's Safety Floor Sticker Signs keep areas properly marked with warnings and keep employees alert to hazards. Our Anti-Skid, Forklift-Tough® Industrial and warehouse Safety Floor Stickers give direction in any warehouse or industrial facility and come in a variety of styles, shapes, sizes and colors. Browse our Forklift-Tough® Anti-Slip Floor Safety Stickers and order online today.